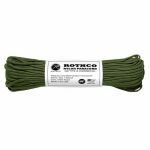 Having the forethought to add a small sewing kit to your pack can make the difference between a short pit stop on the trail versus becoming ever more uncomfortable as the day, and night, progresses. What supplies should be in your sewing and repair kit? Well first, don't worry too much about having a ton of different colored threads so you can match the repair to the item. Out on the trail, no one is really going to care, or even notice, that you put your shirt button back on using black thread while every other button has tan thread. For that matter, the color of the replacement buttons themselves doesn't matter either. 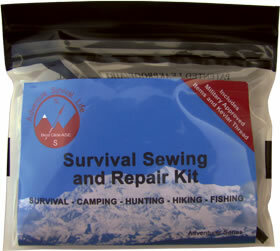 A decent sewing and repair kit should have several safety pins of various sizes. 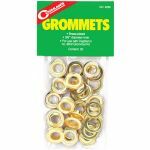 These work great for expedient repairs until you can do the job right. They are also good for attaching light objects, such as a button compass, to your shirt for safekeeping. Straight pins can help keep the material you're sewing in place until you're done.